Is it possible to heal the scars of redevelopment? Can streets be more than just a roadway? 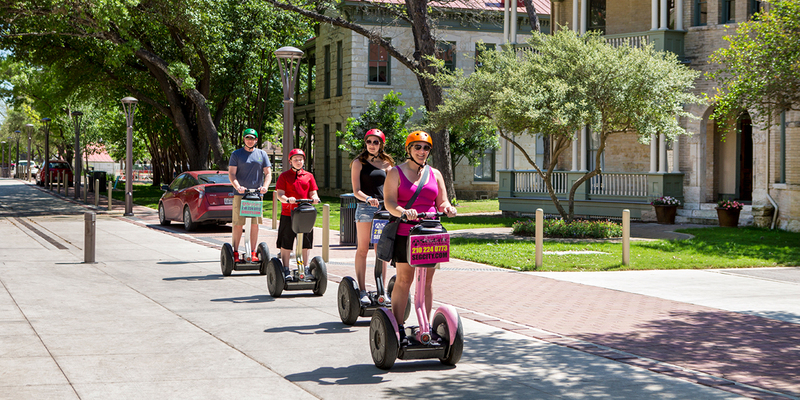 The answer is ‘yes’ in the area of Downtown San Antonio now known as Hemisfair. Once a bustling neighborhood inhabited by a melting pot of immigrants, the area became divided and isolated after several decades of urban renewal projects and crisscrossing freeway ramps left large sections of the area unused and barren. MIG’s re:Streets initiative guided the design: to provide streets for future living, not just today’s driving. 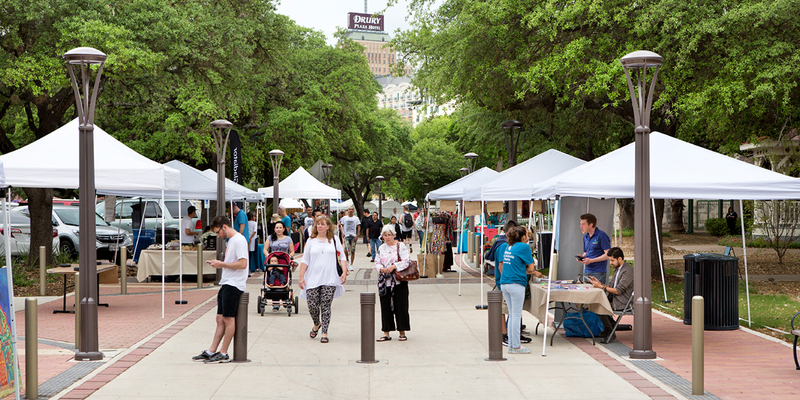 The first new streets in Hemisfair—East Nueva and Water—are curbless, allowing them to adapt to changing needs depending on the time, day or season. On week days, they are standard two-way streets. On week nights, portions of the streets close and are transformed into spaces to walk, play and even dance. And on weekends, the streets close entirely to host special events and festivals. 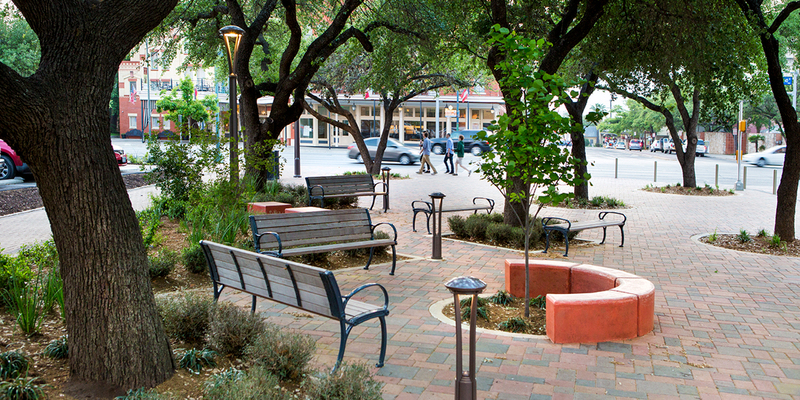 The streets feature shaded plazas and walkways lined with 40-year-old oak trees saved from nearby parking lots. 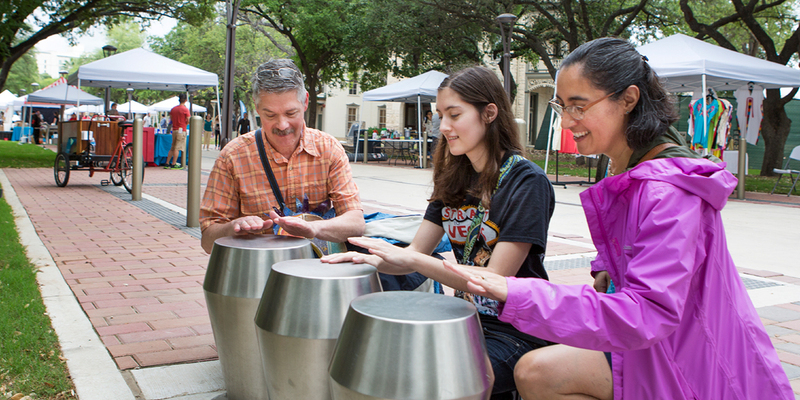 Lighting, bollards, seating, art sculptures and multisensory elements like wind chimes and drums invite gathering, exploration and engagement with other people and the environment. 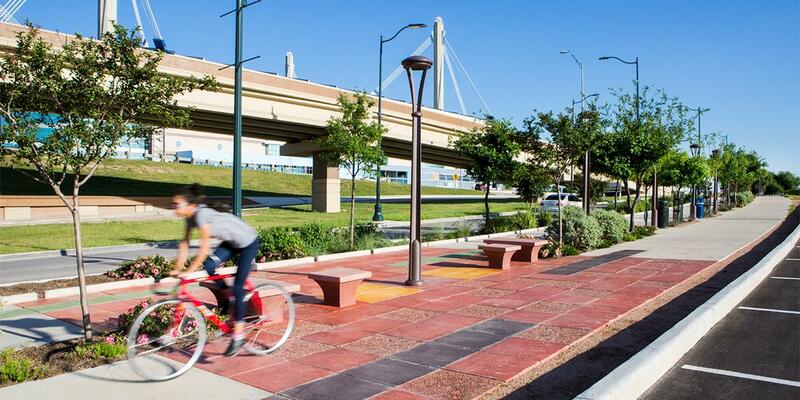 Stormwater planters perform triple duty: separating pedestrian and bicyclists from vehicles, providing shade and filtering and cleaning runoff water before it ultimately reaches the San Antonio River. 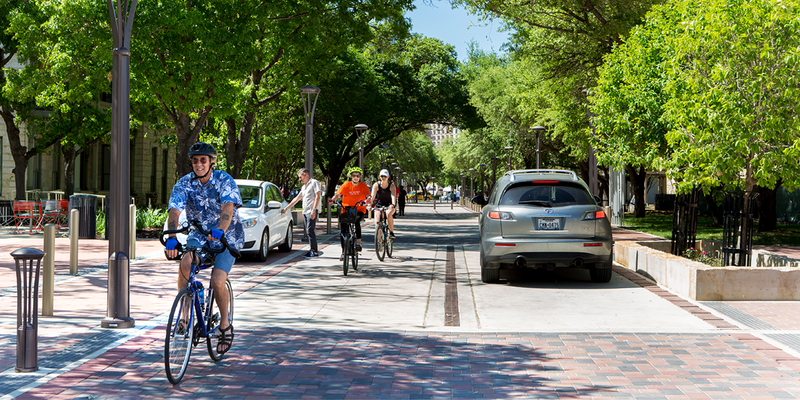 The new roadway designs seamlessly blend with the old streets to dramatically improve pedestrian safety and comfort while incorporating bicycle and transit improvements to create a truly active, healthy and connected area. 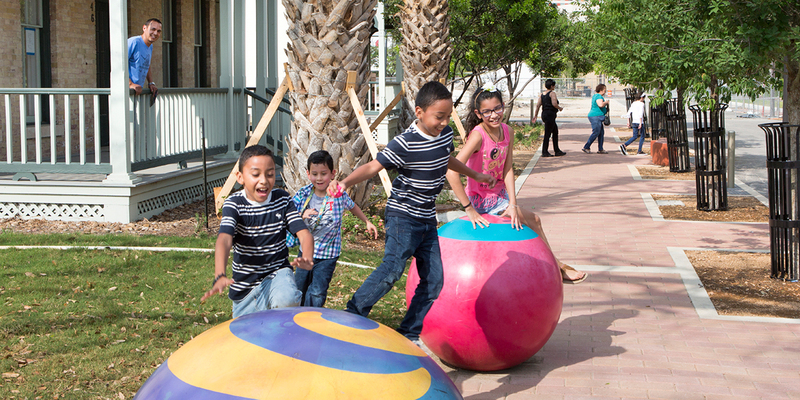 The project has sparked reinvestment in the area’s historic buildings, as well as new mixed-use developments to reinvigorate the neighborhood. 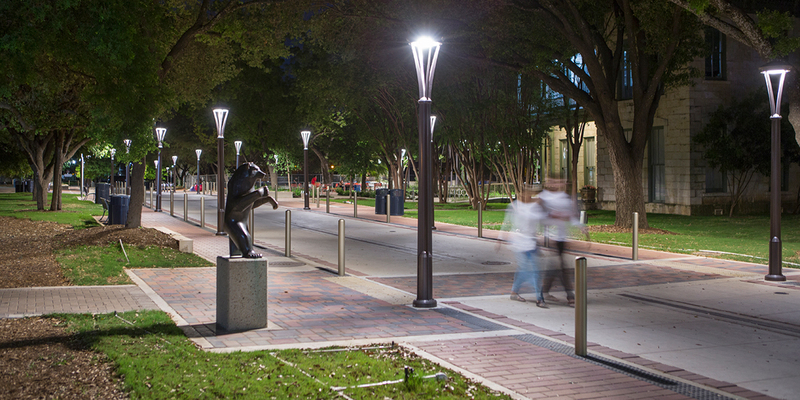 Named the American Public Works Association Texas Chapter Project of Year in 2017.